Antwerp, Rotterdam and Dusseldorf are well known logistics hubs in Europe, however, some cities in Central and Eastern Europe (CEE) are on their way to becoming regional hubs. New infrastructure such as roads, deep water ports and railroads, along with economic factors such as increased citizen purchasing power and low wages further facilitate growth. Many reports expect CEE hubs to gain more importance and a gradual shift of some logistics services to the east. In their latest report, global real estate advisers Colliers International acknowledged that cities in the Netherlands, Belgium and Germany are still in the top 10 of European logistics hubs, mostly because these areas are densely populated and richest in the region. However, outside of these traditionally popular Western European areas, Prague (Czech Republic) and Bratislava (Slovakia) obtained the best score for distribution, offering lower labor and property costs. For example, Bratislava has rents, for prime distribution space, 25% lower than average compared to Western Europe and employee remuneration averages just a third of the compensation payable in the Netherlands. Colliers also predicts that Turkey will gain more importance in the industrial and logistics market. Istanbul is already integrated into the European rail network and more than 10,000 kilometers of extra track is planned in the next decade. With the expanded infrastructure, Turkey will come to be a gateway to the Far and Middle East region. Poland has the potential to become a major logistics hub spot by 2020 thanks to a low labor cost and good infrastructure. 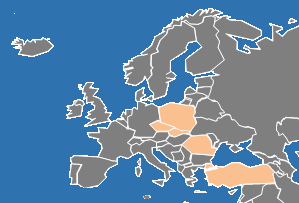 Recently, Bloomberg ranked Poland as the best country to do business in Eastern Europe and Central Asia. Poland has been the EU’s fastestgrowing economy since the debt crisis started in 2008 and the only one to escape recession. The country has spent more than $80 billion to renovate roads and bridges in the last six years. In addition, it had the greatest labor productivity increase between 2009 and 2012 among 34 countries tracked by the Organization for Economic Cooperation and Development. Also, the average monthly salaries are only a third of the average wage of Germany, Poland's neighbor. One of the leading operators of industrial real estate, Prolongis, examined the most desirable logistics locations in 2013 and their survey revealed that its participants are ready to operate a Pan-European network by 2018. Prolongis boldly added Romania to the list of future hot logistics spots. Romania is attractive (similarly to its Eastern European counterparts) due to low labor and real estate costs. Of course, the CEE region is not without drawbacks. Some countries are slow to implement and maintain EU standards. Excessive regulation and possible economic and political instability are other issues one has to keep in mind. Lastly, the CEE region is by no means a homogenous market - it is a mix of cultures, languages and currencies. Building a network of local experts and advisers is one of the keys to success in this region. 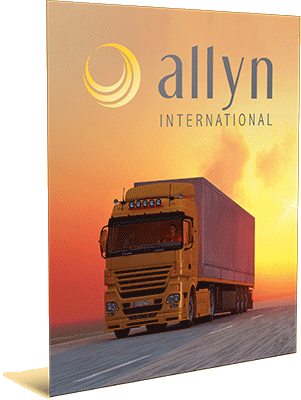 In the tricky CEE business environment, Allyn International is happy to offer logistics and supply chain solutions. Allyn has operated a regional headquarters in Prague, Czech Republic since 2000 and is ready to share valuable knowledge and experience. If you would like additional information you can email us at sales@allynintl.com. "The End of the Road for Traditional Trucking"
"Weekend Deliveries in Europe - Yes!"